SSL for PhotoBiz 8 has arrived! Now, every page on your domain can be fully encrypted, giving you and your customers the best in seamless, universal website security. All it takes is one click to enable SSL across your domain, but there are a few things to consider before making the switch. Here’s how to turn on SSL, and what to double check in order to have a smooth transition. For SSL to work properly at this time, your domain's IP address needs to resolve at our servers, which is currently at the address 18.235.135.157. For most websites, this should be the case. But! This is easy to check. If your host A record is something different than these numbers, please call us at 866-463-7620 and we will help you get everything pointing in the right direction. First, log in to your PhotoBiz control panel. Click on “Menu” in the top right corner, and select “Domains”. 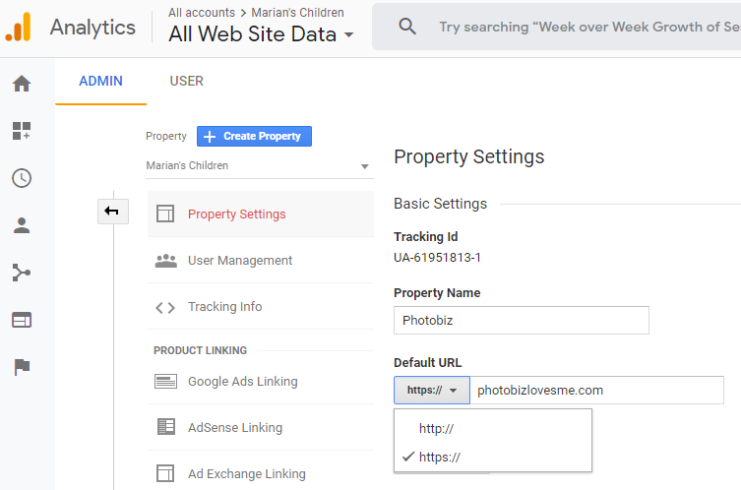 PhotoBiz tools and products are designed to work seamlessly with SSL, but if you have anything coded in manually, it’s a good idea to check these items to make sure they will still load properly. For example, if you have a domain forward to “http://photobiz.com”, you will need to update it to be “https://photobiz.com”. To republish your sitemap, visit the TRACKING tab in your builder, click the gear icon, and then click the green “publish sitemap” button. A: No, you can enable SSL on your PhotoBiz 8 site for free. Q: Is SSL supported on Portfolio or legacy Builder sites? A: SSL is only supported on PhotoBiz 8 sites. Many people who transition from Portfolio or Builder find they have more features and file space, at a lower monthly price. Call us at 866-463-7620 and we can go over your plan and find the best solution for you. A: It can take between 24-72 hours for your SSL certificate to become active on your website. After this window if you are still not seeing SSL, clear your cache and try again. If your browser has the non-secured http version cached, it can cause your website to not pull up correctly. This will be fixed once your cache is cleared. Our team is happy to answer any questions you have about SSL and your PhotoBiz website. Holly H - Hey Mariah! I've asked our team to take a look at your site and give you a call about it shortly! Thanks for checking in :) We're stoked to get you SSL! Mariah Crandall - We just wanted to reach out to make sure our website is up to par with everything it needs to turn on SSL for our pages.